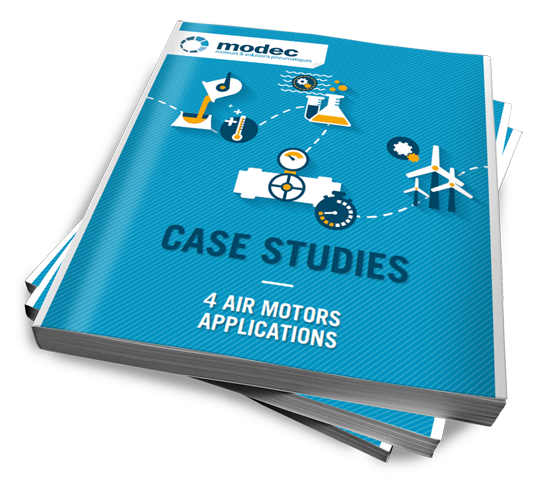 Our high performance air motors are used for quite diverse and specific applications, in many different industries. It is essential to provide a catalogue that offers a wide range of products in order to meet most of customer's needs. This is where the flexibility and responsiveness of Modec come in! We regularly respond to very specific requests. To ensure the same quality ofservice to every customer and provide the right products, we have to study their requirements in detail, understand the application environment, and perform various tests to ensure a top quality solution. Modec’s ‘nut runner’ air motor.